HISS is a nefarious power with tendrils reaching across the globe. Individual cells operate on all continents Each cell operates alone or occasionally with others, working towards the organisation's greater goal, even if that brings them into conflict with other HISS groups. This is exactly as the high leadership wants it. The backbone of HISS paramilitary forces are the Agents, Shock Troopers and Precepts. 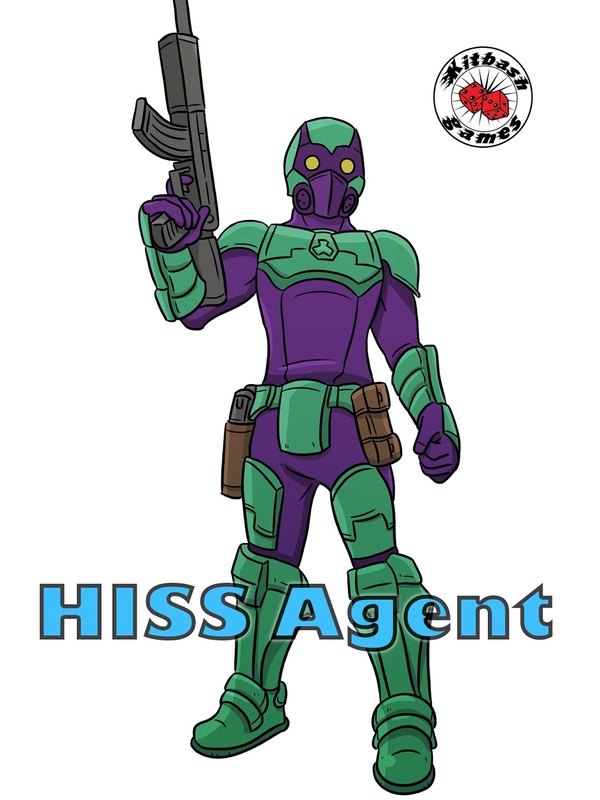 Squads or platoons of HISS troopers are only deployed when needed, and always with a clear purpose or goal to be achieved, even at those cost of those self-same soldiers. "H.I.S.S." - Absolutely superb conception Pulpcitizen. I love it!! Nice! Can't have a supers game without droves of henchmen to plow through. :0). That's one daring colourscheme 😊. While in itself nothing really special, I do like the facial mask. What causes the eyes to gleam so yellow? I think his belly should at least have the same protection as his chest, otherwise it doesn't have much effect. 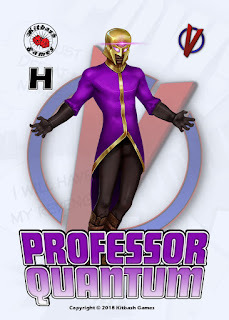 I hope I don't sound too negative, I like the design, but when they're facing supers as normal humans they need all the protection they can get. Also, I do hope to see some heavier troopers in the same trend later 😉. The yellow glow is some kind of weird eye protection!